This is my second ever Mega Bloks Halo MOC! The idea to start it came from just wheel/tire pairs I had to spare, and when it came time to start designing & building, the Call of Duty Hummer windscreen made everything else practically fall into place. 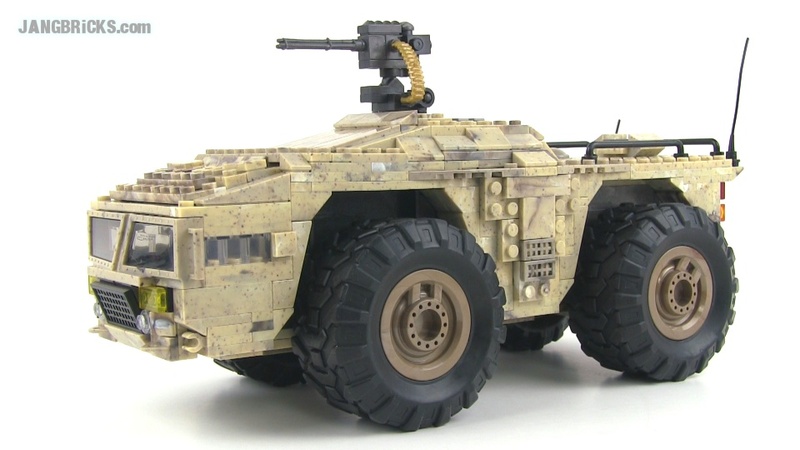 This non-canon creation is intended to be to the Warthog troop carrier (asplodable with just 2 grenades!) what modern-day MRAPs are to the venerable HMMWV. 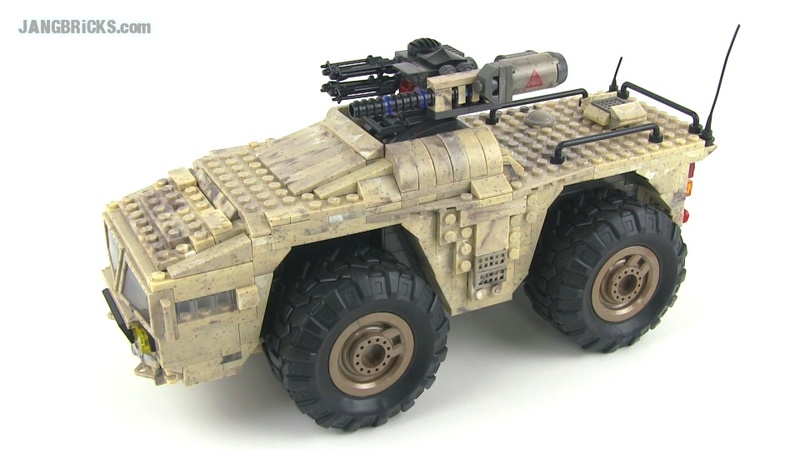 Pictured below is the original "A" variant delivered to the UNSC as a high-survivability all-terrain medium people mover. This was functional, and decent at protecting itself with the single remote LAAG. However, it suffered the happiest problem -- it had too much power. Heat buildup in the never-flat tires limited top speed of the vehicle to a level far below the nominal output of the onboard generator (she's a hybrid; H2 ICE generator, independent electric traction motors). To address this nagging little issue, the manufacturer released the "B" variant seen in the video, which can funnel excess power into the rapid charging of everybody's favorite 'Hog gun, the Gauss cannon. 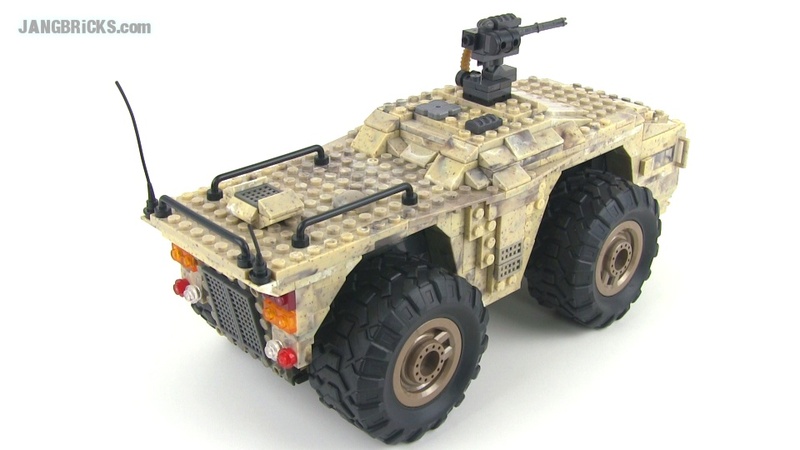 Military reviewers insisted that the vehicle remain defensible should primary power be disabled, so a quad-20 (which will run off the battery backup system) was specified as well. Bison drivers call the B-spec weapons emplacement the ATG. They say it with straight faces. It stands for "All The Guns." i we love to get one.